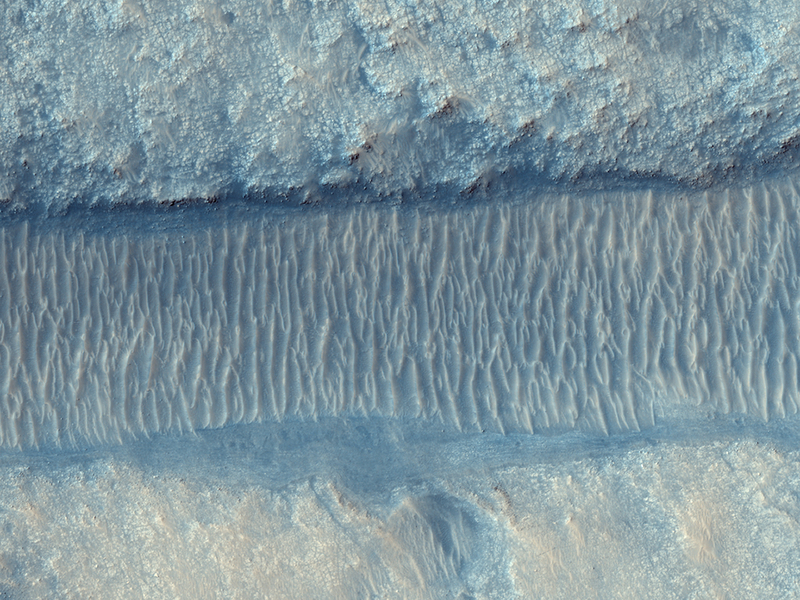 Billions of years ago, this water-carved channel in Nili Fossae region transported sediments across the Martian surface and deposited them on the floor of an impact crater just south of this image. The sediments were deposited in a delta-like mound on the floor of Jezero Crater, suggesting that the crater may have contained a lake at the time. This portion of the image shows a section of the channel in greater detail. Wind-blown dunes or ripples now cover much of the channel floor, but in some places the older channel floor is visible. Here, the channel bed has a layered appearance. The plains outside the channel are fractured into polygonal patterns. The CRISM instrument has detected water-bearing clay minerals in these plains, which were eroded by flows down the channel. Clays are also seen in the sediments deposited on the floor of Jezero Crater. 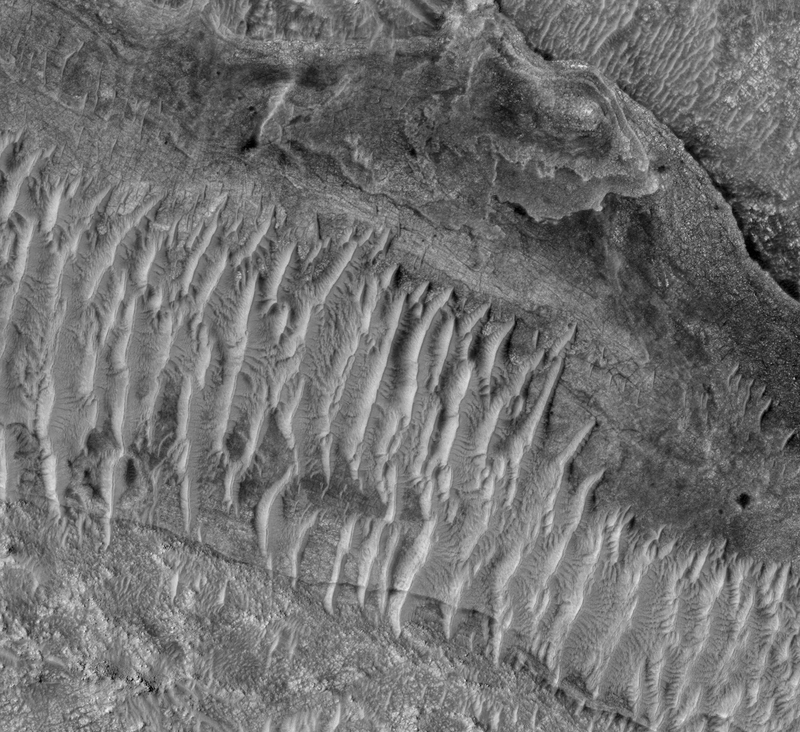 These clues in the form and composition of the Martian surface provide insights into an ancient era when liquid water may have been more common at the surface. This is a stereo pair with PSP_008650_1990.